News – Page 2 – Frank Iler for N.C. House – Brunswick County, N.C.
Last week at the North Carolina General Assembly was our second week of the new 2019 – 2020 session. It started slowly, but picked up speed on Tuesday, Wednesday, and Thursday. Tuesdays are going to be committee days this session, and most of our floor votes will be on Wednesdays and Thursdays. Last week only a few of our committees were meeting due to few bills being filed so far. So we had time to meet with various groups and individuals advocating for different issues. For example, one meeting was with representatives of the RV (Recreational Vehicle) industry seeking to pass laws differentiating their dealers from franchise automobile dealers. Another was with Common Cause about redistricting reform, which revealed that we may have more ideas about districts in common than not. In all, I had at least a dozen such meetings. We are having our Bill Drafting Department work on bills we have requested. They research existing laws and determine what changes are needed to accomplish what we are seeking to do. A couple of examples of my bills in process are a local bill for Sunset Beach storm water funds and a statewide bill to make the Loggerhead Sea Turtle the official saltwater reptile of North Carolina. These may be filed in the next week or two, along with others. One committee that met was the Education K-12 Committee. We had two bills up for discussion on school calendar flexibility. They will expand the school year and shorten the summer break. These bills are always a major concern for our tourism industry on the coast. There are several of these local bills being filed, and they will be very controversial. On Wednesday, we had House floor votes on the permanent rules of the House for 2019 and appointments to the bipartisan Ethics Commission. The House rules debate was very long and passed by a vote of 70 – 47. The ethics appointments bill was almost unanimous at 116 – 1 in the House and 45 – 0 in the Senate. By Thursday, many discussions were taking place on the upcoming budget negotiations. As a Vice Chair, I met with the Chairs and Vice Chairs of the House Appropriations Committee, where we planned the calendar for assembling and passing the budget earlier than in past sessions. As Chairs of the Appropriations Committee on Transportation, we also met separately with our committee staff to set the stage for our transportation budget. This budget is separate from the general fund budget, and spends almost $4 billion each year on transportation maintenance and construction. There have been almost 40 bills filed in the House so far. I expect many more to be ready to file this week. Each week in the North Carolina General Assembly this month feels like it should be the last for this session, but we keep coming back. When we adjourned the short session in late June and set a date of November 27th to return, most of us assumed it would be for a week. Then,Hurricane Florence happened. After two weeks, it appears we will be back another week or two. Hurricane relief and voter photo ID bills have dominated the discussion, the committee meetings and the votes so far. Senate Bill 823 –Hurricane Florence/Supplemental Act appropriates an additional $299.8 million to hurricane relief and funds to match federal dollars for agricultural damage,commercial fishing losses, stream debris removal, derelict vessels study,school and college repairs, courthouse and county building repairs, and other losses. Senate Bill 823 passed the Senate 44 – 0 and the House 103-0, and it was signed by the Governor on December 3rd. This is the third installment of the $849.4 million allocated originally, and leaves $94.7 million to be appropriated in 2019. However, there is more availability in the Savings Reserve Fund, which was built up to $2 billion over the last five years. There is a requirement in the bill to build the fund back up over the next five years. The other major bill, Senate Bill 824 – Implementation of Voter ID Constitutional Amendment,passed the Senate, was amended by the House, and sent back to the Senate. It spells out the various forms of ID that will be accepted at the polls when voting. After amendments, it passed the House 67 – 40 last Wednesday, passed the Senate 25-7 on Thursday, and was presented to the Governor the same day. It is expected he may veto it, causing us to return to session to override his veto. There were two resolutions adopted by the House honoring the lives of two law enforcement officers. NC State Trooper Kevin Conner was killed in the line of duty recently in Columbus County, and Greensboro Police Officer was killed in an accident in Guilford County responding to an emergency call. These were House Resolution 1104 and House Resolution 1116, respectively. Last Thursday, the House Select Committee on School Safety met and presented their report for the next session of the House, which begins in January. As a member of this committee I was very interested in this report and voted for it. The key findings and recommendations included expansion of school safety grants, studying mental health screening, civic responsibility education, and expanded first aid training. It also recommends reintroduction of school safety legislation from the 2017 session, and continuing committee study and recommendations to the General Assembly. We had various routine bills dealing with technical corrections, board appointments, and local issues. We anticipate returning on Tuesday, December 11th, weather permitting, and possibly Monday, December 17th, for possible veto override votes. Final adjournment is expected before Christmas. Last week in the North Carolina General Assembly began and ended on Monday the 15th. We expanded the legislation for Hurricane Florence recovery that we had begun two weeks earlier before returning to our districts in time for early voting, which started Wednesday. A lot of work had gone on for two weeks, along with close communication among the House, Senate, and the Governor’s office. The results of the work and coordination came out as Senate Bill 3 – 2018 Hurricane Florence Disaster Recovery Act. There was also an identical companion bill, House Bill 3, but it was decided to take up the Senate bill instead. Senator Rabon was a sponsor of the bill, and I was a sponsor of the House bill. Senate Bill 3 passed the Senate 43 – 0, and passed the House 111 – 0. We finished and adjourned around 9:00 p.m. Monday night. Senate Bill 3 makes available $849 million for Hurricane Florence recovery, and appropriates $394.5 million at this time. Of the $849 million the Savings Reserve or “Rainy Day Fund” provides over $700 million. Other availability comes from the lottery, highway funds, and other smaller funds. $ .9 million assistance to volunteer fire departments. There is established an Office of Recovery and Resiliency under the Dept. of Public Safety to better facilitate disaster recovery and public information. This bill has an initial appropriation of $2 million to establish the office. All these appropriations are the first steps in recovery in these different areas. In November, after more assessments come in, we will be back to consider the balance of the funds for Hurricane Florence and also respond to Hurricane Michael. Last week at the North Carolina General Assembly could be described as “short and sweet”. It was short due to the large amount of work done in advance by the bill drafters and the legislative leaders. It could be called “sweet” due to the preliminary agreement by those leaders and the Governor that something had to be done quickly for our citizens struggling with the effects of Hurricane Florence. As you undoubtedly know, our schools had tremendous water damage and interruption of weeks with no classes. Many homes and whole neighborhoods that had never flooded before were horribly impacted with record flood levels. Many of our towns and communities lost roads, dams, sewer and storm water systems, and utilities. Even the voting locations were damaged that had been planned for Election Day and early voting. The House and Senate convened last Tuesday, October 2nd. Our committees quickly reviewed the legislation that was being proposed, and voted out two bills, one in the House and one in the Senate. The afternoon floor sessions also went well, due to the spirit of urgency and cooperation. House Bill 4 – Hurricane Florence Emergency Response Act established a new fund to deal with some of the impacts. It was evident that this was a first step, or “down payment” on what will be needed once the full impact costs are known. It allocates $56.5 million from the Savings Reserve to the new Hurricane Florence Disaster Recovery Fund. It provides $6.5 million of it to pay school lunch employees and $50 million to match federal funds and other costs in the counties that are designated under a major disaster declaration by the President of the U.S.
HB 4 also designates that the legislature will review these needs for further appropriations in 2018 and 2019. Further, local Boards of Election must extend registration to vote until October 15th, and may change voting locations due to damaged facilities. The bill also addresses mosquito control, waiver of many DMV fees, and waiver of homeowners’ recovery fees by building inspectors. I was one of the primary sponsors of HB 4, and it passed the House 109–0 and the Senate 46-0. We also passed Senate Bill 2 – School Calendar & Pay/Hurricane Florence gave flexibility to local school systems to excuse up to 20 days of missed school days, or to make up school days missed, or any combination of these two options. It also provides that teachers and employees will receive their regular pay, as if school had been in session. It also allocates the $6.5 million provided in HB 4 for lunchroom workers, who are normally paid from federal lunch programs only when meals are served. The final provision in SB 2 allows student teachers to qualify, even if they missed days of practice teaching due to Hurricane Florence. Senator Rabon was one of the primary sponsors of SB 2, and it passed the Senate 45–0 and the House 109–0. We will reconvene on Monday, October 15, and we expect to consider much more comprehensive assessments of damages due to Florence. We have $2 billion in the Savings Reserve Fund, or “Rainy Day Fund”, and I anticipate a large portion of it will be required to recover from the major damages. Although all meetings were cancelled in Raleigh during the past week as Hurricane Florence made her way through North Carolina, the communications among elected officials at every level has never been more urgent. We had daily and hourly phone calls and texts among every concerned official and emergency management leader. I had one or two conference calls daily with Brunswick Emergency Management. 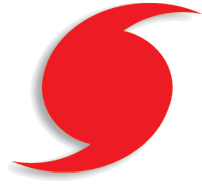 The county staff, county commissioners, municipal mayors, state Representative and state Senator were on the call as we got updates on preparations and conditions around the county. We were able to ask questions and offer assistance in communicating with state agencies. These will likely continue until the flooding and infrastructure issues are back to normal. The state has had all legislators on at least one conference call daily. We are briefed by the Secretary of Transportation (NCDOT), Secretary of the Dept. of Health and Human Services (DHHS), the Assistant Director of Emergency Services of the Dept. of Public Safety (DPS), and the Governor’s office. We are updated on major road closures, shelter and medical assets, and localized issues. I have been able to assist as some of our local needs have arisen. Other calls and texts have flooded in to my phone and Senator Rabon’s as the needs have arisen across the county and in our towns. We have been able to put some of our folks in touch with agencies to assist them or to attempt to speed up needed services. The needs are expected to increase this week as people are stranded by flood waters and time passes with necessary supplies running low. Communication with leaders across the county, our towns, and state have never been more urgent and timely as now. The county Emergency Operations Center and the NC Emergency Operations Center have done an excellent job of uniting all possible forces to alleviate the problems as much as possible. Thanks to all these dedicated public servants, and the leaders of our towns for all they do for the safety and comfort of our people in Brunswick County and North Carolina. Please follow your local officials’ advice and watch out for your safety and that of your neighbors. We will get through this and come out even stronger. Click here for more Brunswick County-specific information. Last week in the North Carolina General Assembly: we passed historic constitutional amendments for the voters to decide, we had a record override votes of the Governor’s vetoes, and we finished our work for the short session. On last Monday afternoon we had an unusual early session. The first item of business was to finish House Bill 1028 – Oak Island Charter Amendment by concurring with the Senate’s minor change by a vote of 111 – 0. It became law then, as it is not subject to the Governor’s veto. Then we began a series of constitutional amendments by voting on House Bill 1092 – Constitutional Amendment – Require Photo ID To Vote. It passed 74 – 44 in the House and 33 – 12 in the Senate and will be on the ballot in November for the voters to decide. House Bill 913 – Bipartisan Ethics and Election Enforcement makes the state elections and ethics board bipartisan. It passed 74 – 43 in the House and passed 32 – 14 in the Senate. Senate Bill 677 – Protect Right to Hunt and Fish makes it clear these are protected rights, subject to some statutory restrictions. It passed 92 – 23 in the House and 41 – 6 in the Senate. Senate Bill 75 – Constitutional Amendment – Maximum Income Tax Rate of 7% caps the income tax rate for the state at 7% rather than the current cap of 10%. It passed 73 – 45 in the House and 34 to 13 in the Senate. Senate Bill 814 – Judicial Vacancy Sunshine Amendment provides for a non-partisan commission to recommend justices and judges to fill vacant positions, send them to the General Assembly, and then to the Governor for appointment. Now just the Governor is involved in the process. It passed the House 73 – 45 and the Senate 34 – 13. House Bill 551 – Strengthening Victims Rights makes it clear that certain victims’ rights are protected instead of allowing victims and their families to be victimized further. It passed the House 107 – 9 and the Senate 45 – 1. House Bill 374 – Regulatory Reform Act of 2018 overridden by 75 – 44 in the House and 34 – 11 in the Senate. House Bill 382 – Dept. of Insurance Omnibus bill overridden by 84 – 35 in the House and 39 – 8 in the Senate. House Bill 717 – Judicial Election Changes overridden by 74 – 45 in the House and 30 – 16 in the Senate. Senate Bill 325 – The Uniform and Expanded Early Voting Act overridden 74 – 45 in the House and 34 – 12 in the Senate. Senate Bill 711 – NC Farm Act of 2018 overridden 74 – 45 in the House and 37 – 9 in the Senate. All of these bills can be read on the General Assembly web site at www.ncleg.net . The last order of business last Friday was to adjourn the short session. We may be back before the year is over, depending on what the Governor and the courts do that may require our attention. Last week in the North Carolina General Assembly we overrode the Governor’s veto on two election bills, we moved local bills through committees and both chambers, and we learned about constitutional amendments to be voted on shortly. Many of our votes in the N.C. House last week were votes to concur with bills that had passed the House earlier, and had been sent to the Senate. There they had been changed, so we had to concur, or agree, to the Senate changes. However, early in the week we knew the Governor had vetoed two of our election bills, and that we had to have the three fifths votes to override his vetoes. On Wednesday we had Senate Bill 486 – The Elections Security and Transparency Act back before us. This bill requires county Boards of Elections to perform background checks on board employees that handle sensitive election data. This does not include precinct poll workers. This override vote was 74 – 42, and became law over the objections of the Governor. The second vetoed bill was Senate Bill 757 – Various Court Districts Changes. This bill changes some districts for District Courts and Superior Courts, most notably for the Wake and Mecklenburg County districts. The districts’ populations had been skewed by growth patterns since the 1980s, the last time they were updated. SB 757 addressed these disparities to bring more fairness into the districts. It passed 74 – 43 and became law. The Senate had already overridden both bills earlier. Many local bills were considered and passed in both chambers last week. Two of our local bills were in the Senate last week. House Bill 1027 – Bald Head Island/No Wake Zone and House Bill 1028 – Oak Island Charter Amendment were sent to the Senate Committee on State and Local Government, and then to the Senate Committee on Rules and Operation of the Senate. I was on hand to present them to both committees and they passed. HB 1027 then passed the Senate and became law. HB 1028 had a technical change in the Senate, passed that chamber, and was sent back to the House for a concurrence vote. It is first on the House calendar this Monday, and should have passed by the time the readers see this article. The Governor does not have a chance to consider local bills for signature or veto. Constitutional amendments to be presented to the people on the November ballot must be passed by the House and Senate by at least a three fifths vote. Several of them are being considered, and two are on the House calendar for this Monday. Senate Bill 677 – Protect Right to Hunt and Fish will make it more difficult to put further restrictions on hunting and fishing beyond what has already been done. It passed the Senate on a bipartisan vote of 44 – 4. House Bill 1092 – Const. Amendment – Require Photo ID to Vote will have its first floor vote Monday afternoon. It requires proof of residency through the use of a photo ID. Anyone without an ID may get a free one. Both of these proposed amendments should be passed in the House Monday. The pace of votes this week will be busy, and we may be able to adjourn the short session by Thursday or the wee hours of Friday morning. I expect floor voting sessions to last into the night, possibly all week. Last week at the North Carolina General Assembly we handled well over 100 bills in the House and Senate, we overrode the Governor’s veto of the state budget, and we passed several bills of local interest. Last Monday, June 11th, we reported for a night session at 7:00 p.m. While many weeks there are no votes on bills on Monday, we started right out with 15 bills in this session. It was a sign of the week to come. We were kept busy all week until Friday afternoon with committee meetings and midnight voting sessions. Mostly “Public” bills were being voted and passed back and forth between the House and Senate. Public bills are those effecting the entire state. In the coming weeks we expect to handle more local bills and constitutional amendments, which are not subject to the Governor’s veto. On Tuesday, we voted to override the Governor’s veto of our state budget, Senate Bill 99 – Appropriations Act of 2018. The Senate had voted to override it the previous Thursday. Our vote was 73 – 44 to override, in excess of the required three fifths. It became law immediately. Several public bills of local interest were passed and sent to the Governor. One of them, Senate Bill 711 – NC Farm Act of 2018, impacts our rural areas in Brunswick County and surrounding counties. It has many provisions, but one in particular got the most attention. It puts conditions on the ability to sue for nuisances surrounding farms. It was amended many times, and I believe it is as fair as possible to farmers and the neighbors of farmers. It does not prevent neighbors of farmers to sue for a legitimate nuisance. This provision has been misrepresented by groups on all sides of the issue. It passed on primarily a party line vote of 67 – 47 on Wednesday and 65 – 42 on Thursday. It was then sent to the Governor for his action. Another bill that impacts our area is House Bill 512 – Monitor Implementation of TBI Waiver. However, this bill was used to include other health-related provisions, one of which was included at the request of Dosher Memorial Hospital. The added provision allows Dosher to operate their business on the same basis as other hospitals. Prior to this they had been treated differently. We originally thought this could be a local bill, but our NC Constitution requires health issues to be in public bills. This week should be devoted to local bills, constitutional amendments, and possible veto overrides. Two local bills that have passed the House unanimously should be passed by the Senate shortly. House Bill 1027 – Bald Head Island/No Wake Zone and House Bill 1028 – Oak Island Charter Amendment are priorities this week. We may well be able to adjourn this session by June 30th. Last week in the North Carolina General Assembly was busy, both on the floors of the House and Senate and in committee rooms: we passed bills on school safety and elections; we moved the Build NC Bond Act through three committees; we passed local bills, including two for Brunswick County towns; and we saw the Governor veto the budget, which was overridden in the Senate immediately. Monday we passed a school safety bill, House Bill 938 – Various School Safety Changes, defines School Resource Officers (SROs) and requires training for them, requires peer-to-peer support groups in grades six and higher, and sets up reporting requirements for other school safety measures. I was a cosponsor of this bill, and it passed 111 – 0 in the House. Senate Bill 486 – The Elections Security and Transparency Act had passed the Senate and was in the House for a vote Monday. It requires criminal background checks for local election board employees who have access to the computer programs for election data. This does not include the poll workers. It also establishes the order of the judges on the ballot. As expected, it passed on a party line vote of 66 – 44 and was sent to the Governor. The Build NC Bond Act, House Bill 1010 was in the House Transportation Committee Tuesday. It was approved and moved on to the House Appropriations Committee and House Finance Committee, where it was approved almost unanimously. It should be on the House floor this week for a vote. The bill allows borrowing against future transportation funds to speed up regional and division highway projects. This includes those approved by local transportation groups, The Rural Planning Organizations (RPOs) and Metropolitan Planning Organizations (MPOs), which are made up of local officials. This should help projects in the rural and eastern NC areas. Two local bills passed the House State and Local Government committee and came to the floor Thursday. House Bill 1027 – Bald Head Island/No Wake Zone allows the local public safety department to enforce the no wake zone in their town limits. House Bill 1028 – Oak Island Charter Amendment allows the Town Manager to reside outside the town limits and defines some of their duties. These were both requested by the towns. Last Wednesday, the Governor vetoed the state budget. Without getting into the politics of it, this was not unexpected, but we were hoping he might let it become law without his signature. However, since it is a Senate Bill (SB 99), the Senate voted on Thursday to override his veto by a vote of 34 – 13. We expect to override it this Tuesday, and it will become law. During the week we had various groups of visitors, many from back home in Brunswick County. One in particular, Brunswick County Association of Realtors brought a large group, and I was able to meet with them twice, at a Tuesday night reception and Wednesday in my office. It is always good to see these folks from back home interested in what we do in Raleigh. Another very busy time is expected this week. We are reporting for Monday night votes and a full week of committees, floor votes and visitors.